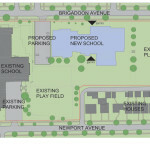 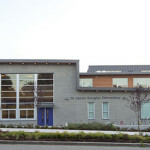 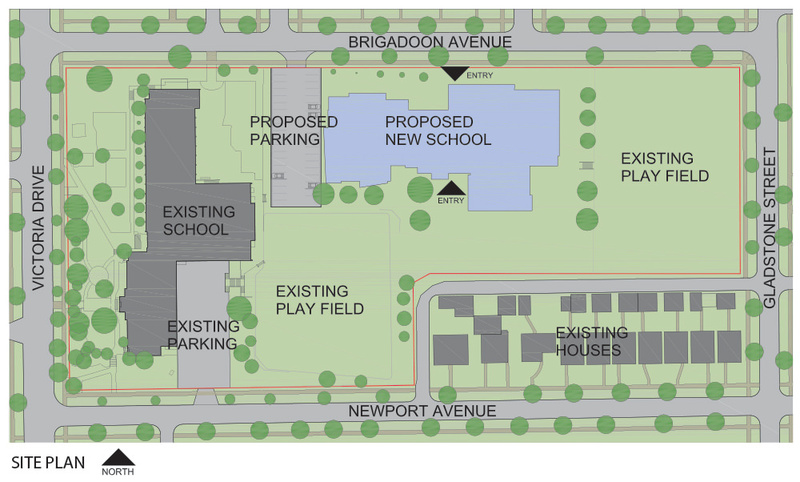 This is a new school replacing the existing elementary school on the same site with a capacity of 60K + 525 Elementary. 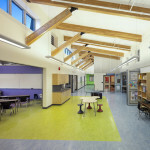 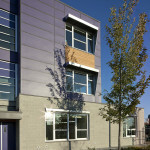 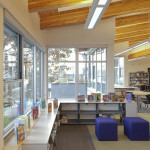 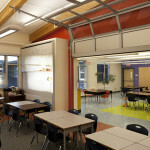 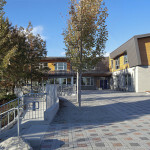 Some Neighbourhood of Learning space is also included for a total building area of 5073 metres squared. 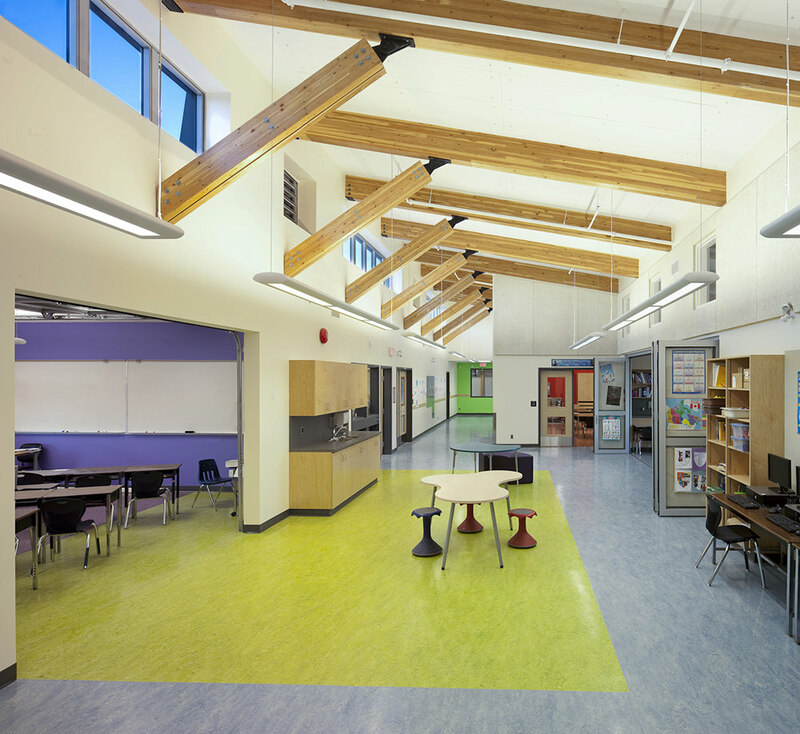 The academic spaces are planned in accordance with 21st century learning objectives, grouping teaching spaces into small learning communities. 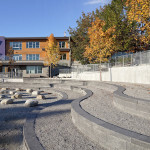 The topography of the site is stepped in a series of benches, with the school straddling the change in grade, allowing access into multiple levels. 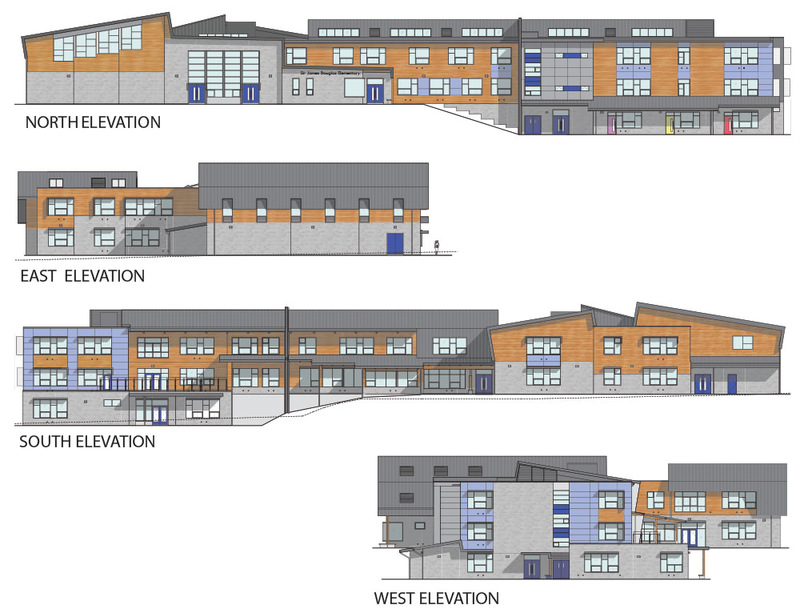 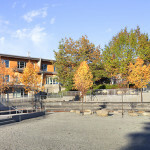 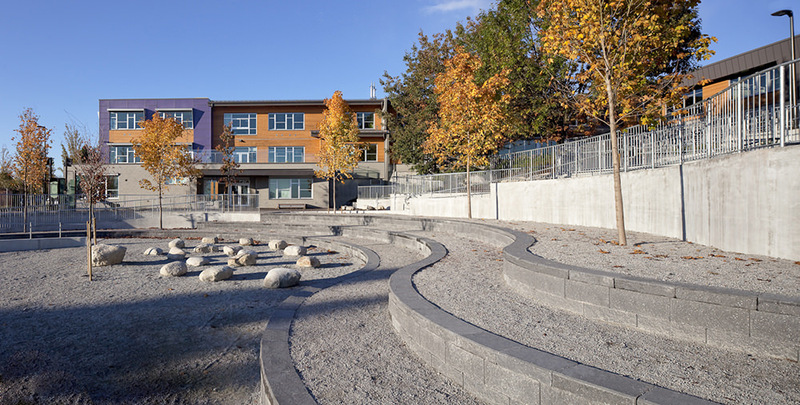 The hillside areas are designed to provide accessibility and also act as adventure play space and outdoor classrooms. 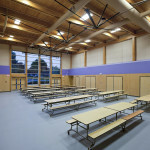 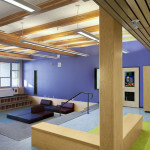 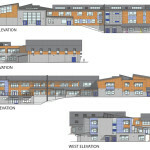 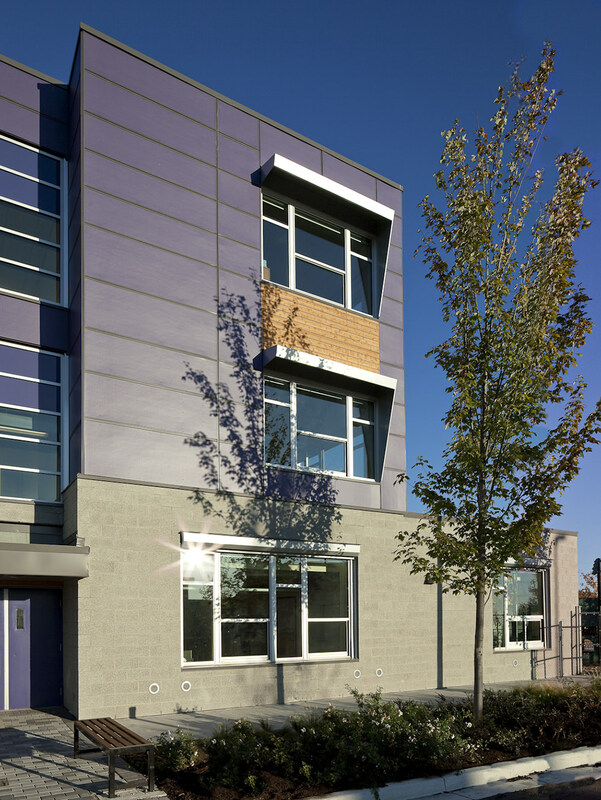 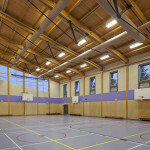 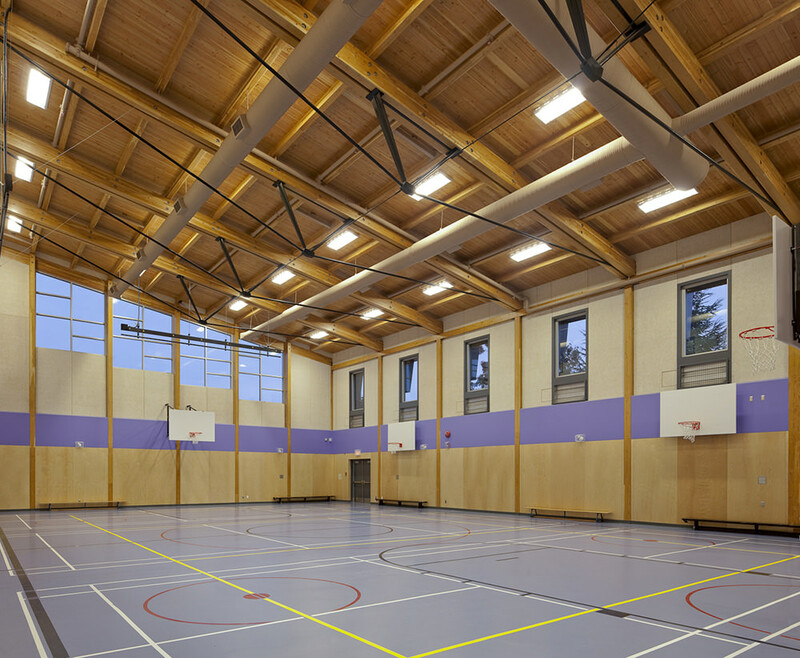 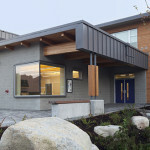 The school makes extensive use of wood and heavy timber both for structure and finishes. 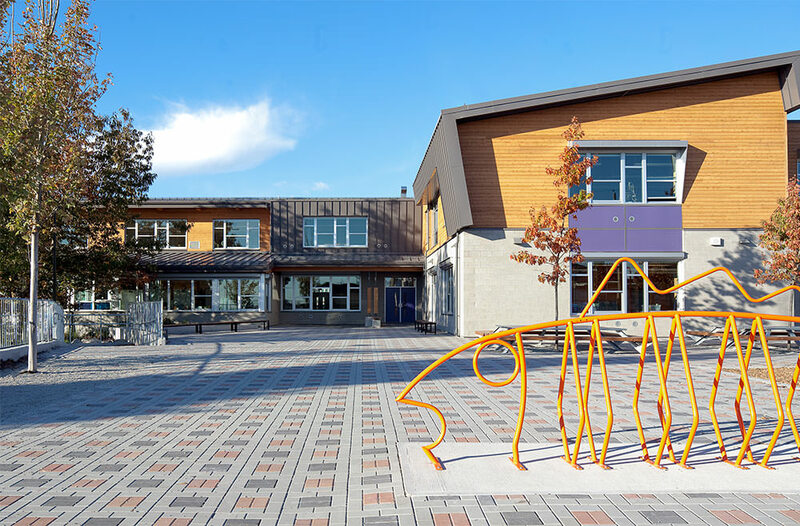 It is targeting LEED Gold, with geoexchange heating, rainwater harvesting, natural and low velocity ventilation, extensive daylight use and controls low VOC interior finishes. 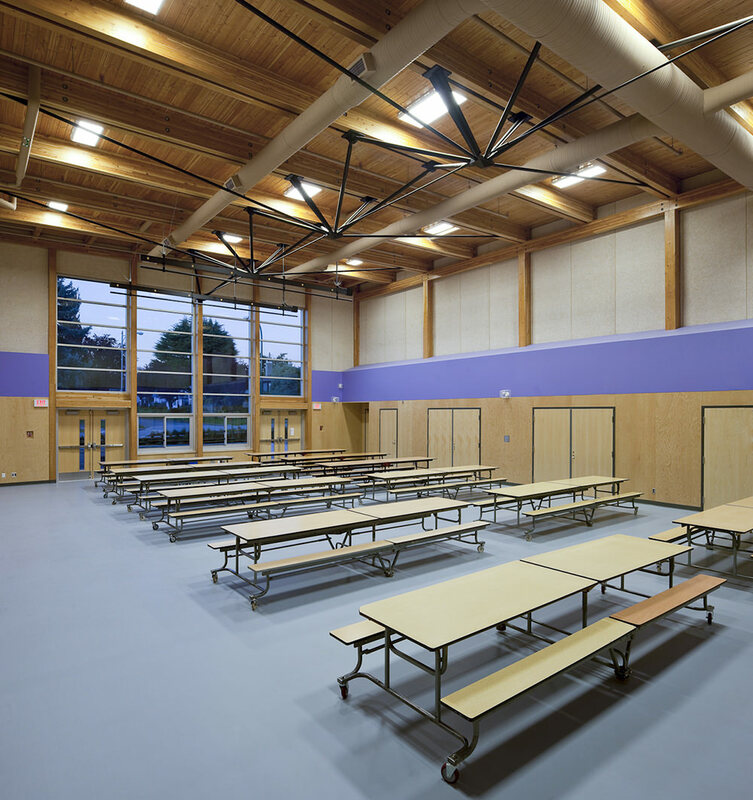 The project tendered under budget and recently completed in July 2013.